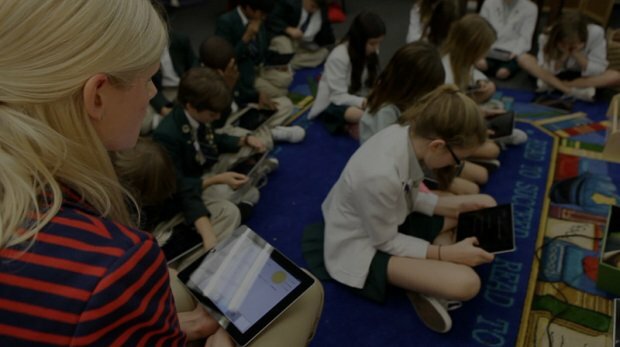 We all know that technology in the Classroom is important, but why? Here are 5 great reasons to consider integrating technology today. One of the main benefits of using technology in the classroom is that the traditional passive learning mold is broken. Unlike a teacher-led classroom, students participate in gathering information from the Internet and making their own decisions deciding whether it is relevant or not. Activity helps the student become engaged in the lesson and retain more information. If a picture is worth 1,000 words how much is a video worth? Showing how a cell divides vs. describing it with words is a night and day difference. Rich media that are readily available on the Internet can help the student grasp more complex concepts quicker and easier then using the written word alone. Recent studies have shown where technology is implemented correctly test scores rise, there is improved student attendance and increased student comprehension. Suggested | "How Video Games and Mobile Devices are Changing Gym Class Forever"
Current students were born in to a world with internet, sometimes we forget that they have been raised with social media, smart phones, ipods and computers being the norm. The natural assumption is that Information needs to be delivered in short succinct image laden packages to assure they understand the data. Students are very accustomed and comfortable with this type of presentation – and people learn better when they are comfortable with the delivery environment. Suggested | "Update: How Students are Using Technology in the Classroom 2013"
The technology in the classroom MUST be up to speed with what is in the real world, otherwise the student has the disadvantage. In technology savvy classrooms, a teacher acts as a facilitator who sets project goals for the students and provides them with the necessary resources and guidelines to reach those goals. The student himself makes decisions with regards to the design choices, the information he wants to use and display, as well as the resources that he will use. Jon Stewart once commented, "The Internet is just a world passing around notes in a classroom." By using technology, obtaining information on all kinds of subjects has become very easy. A student sitting in his classroom can learn how people in a small village in Africa live life by taking a virtual tour or seeing real life photos right now. Students can easily acquire in-depth knowledge on any subject using different types of technology. Are there more ways you've seen technology better engage students? We'd like to hear from you in the comments below. At SecurEdge, we've partnered with hundreds of schools to implement technology into their classrooms. If you have any questions about how to succesfully support new technology in your school, please contact us here for a detailed consultation.